Twice as nice - sample 2 each of our most popular steaks. 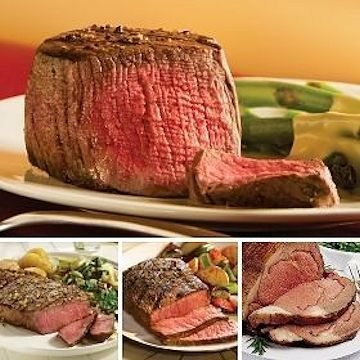 Feast on tender, juicy Filet Mignons, ever popular Boneless Strips, robust Top Sirloins, and flavorful Rib-Eyes. There's simply no better way to satisfy every steak lover's preference. Perfect for gift giving or enjoying at home.The Golden Steer Steak Combo.